Four people have died from heat-related illnesses as El Paso swelters in a string of 100-degree days, the city Public Health Department said Tuesday. Temperatures are forecast to reach 100 on Friday, 102 on Saturday and 101 on Sunday before the El Paso-Juárez area gets a slight break with the chance of rain and temperatures dropping to the 90s next week, Hardiman said. In the blistering summer of 1994, El Paso recorded two of the longest streaks of consecutive days of 100 or hotter. The record is 23 consecutive 100-degree days in July 1994, according to National Weather Service figures. The second-longest streak was 21 days in June 1980. The fourth-longest streak was 14 days reached in June 1994, August 1980 and June 1978. City public health officials urged residents to protect themselves from the heat as a streak of 16 consecutive days of 100 or hotter came to an end Tuesday even as the unusually hot weather is forecast to simmer back by the weekend. "This is a heartbreaking scenario considering the fact that most heat-related deaths are preventable," Department of Public Health Director Robert Resendes said in a statement. "We need our residents to be proactive in this weather and keep an eye out for those who are most vulnerable." The deceased were three men and a woman - ages 34, 35, 68 and 85 years old - who each died after falling ill while outdoors, said an official at the medical examiner's office. They were residents of the East Side, West Side and the Socorro area. The city's Public Health Department issued a news release on the heat-related deaths on Tuesday, the same day that the department learned that the medical examiner had determined the deaths were linked to heat-related illnesses, said Armando Saldivar, spokesman for the city's Public Health Department. 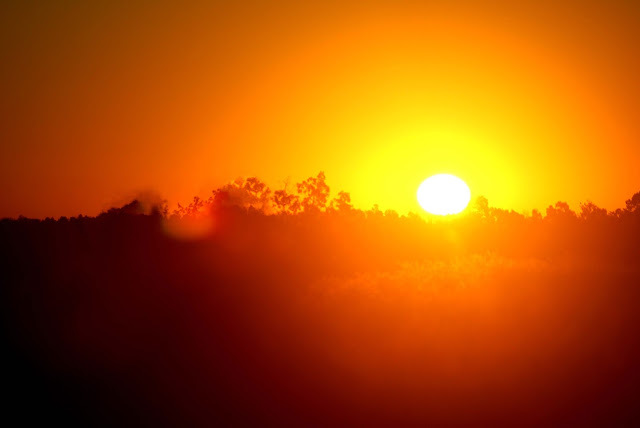 Health officials advise people to drink plenty of water, avoid being outside during the hottest hours of the day, wear sunscreen and light-weight, loose-fitting clothing and never leave children and pets in parked cars. Three of the deaths were the linked to heat stroke and heat exposure was a contributing factor in the fourth case, a public health department news release stated. The average high temperature for El Paso at this time of year is 94, but the region has been scorched with strings of days above 100 in one of the hottest summers since 1994. El Paso reached a high temperature of 99 degrees on Tuesday, which was a very slight relief from days of 100 degrees or hotter, National Weather Service officials said. "Our streak of 100-plus ended at 16 consecutive days and that's the third longest (streak) on record," said Mike Hardiman, a meteorologist with the National Weather Service Office in Santa Teresa. "Later in the week, we will be popping back up to 100." The heat wave this summer has caused electricity usage to surge as air-conditioners and fans run longer hours as El Pasoans try to stay cool. Last week, El Paso Electric warned about the possibility of "managed outages," or rolling blackouts, if the utility were to lose a generating unit or transmission line. If the outages were to take place, they would be no longer than 45 minutes and service would not be interrupted to hospitals, police and fire stations and other buildings designated as critical, the utility said. Emergency heat-relief shelters would open. Public health officials remind residents that they currently can go to public libraries and recreation and senior centers to get out of the heat. The Extreme Weather Task Force offers free fans to qualifying residents. Donations of new fans can be dropped off at any El Paso fire station. I recently found your site after reading disaster safety tips at http://www.getacademichelp.com/essay-writers-for-hire and found that you have a lot of very good articles of the said topic. I am regularly following your rss now. Thank you.